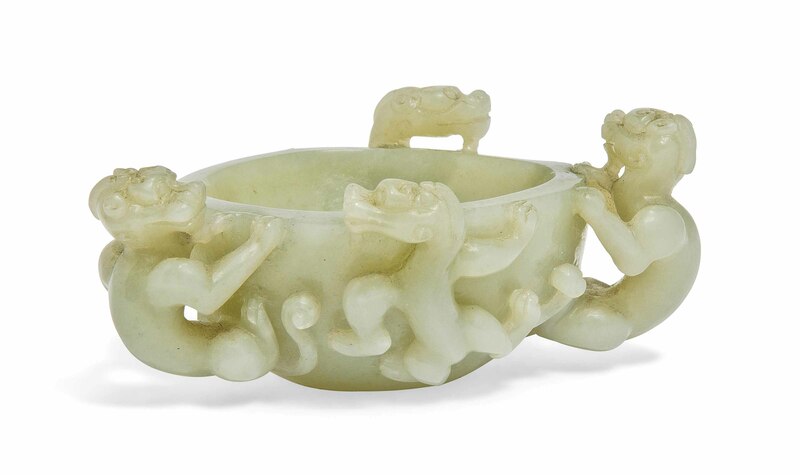 It is carved and pierced with four chilongs clambering up the sides of the vessel and holding on to its rim. The stone is of a celadon tone. 3 in. (7.6 cm.) diam. Inherited by the vendor's mother in 1962 in the UK, and then by descent.